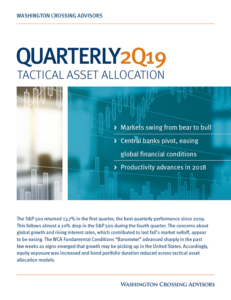 Markets (and the Federal Reserve (Fed)) get a read on the health of the labor market as the September Employment Report is released on Friday. Friday’s report is expected to show that the economy added 70,000 jobs while the unemployment rate remained steady at 4.4%. 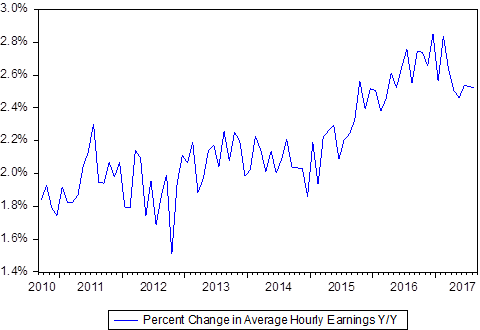 While much airtime will be spent dissecting those headline figures, we want to focus on two other aspects of this report: the change in private payrolls (Chart A) and the yearly change in average hourly earnings (Chart B). While the trend for both of these figures is generally positive, recently the growth in each has begun to moderate. The percent change in private payrolls has been range bound between 1 to 3% since the beginning of the most recent recovery and currently sits around 1.7%. 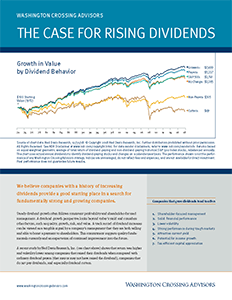 In the past we’ve looked for indications of stress when that figure drops below 1%. 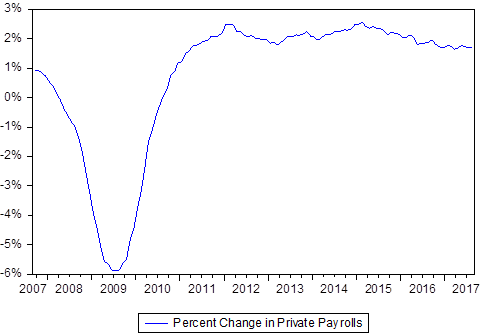 In this case, with regards to the growth of private payrolls, the labor market appears to be on relatively solid ground. The trend for wages is positive on a year-over-year basis, though growth has sat around 2.5% since earlier this year. The lack of inflation can explain away some of the stagnant wage growth. With payrolls expanding and the unemployment rate where it is, one could reasonably argue that the labor market is nearing full employment – in which case we would expect to see wage growth pick up in the coming months.